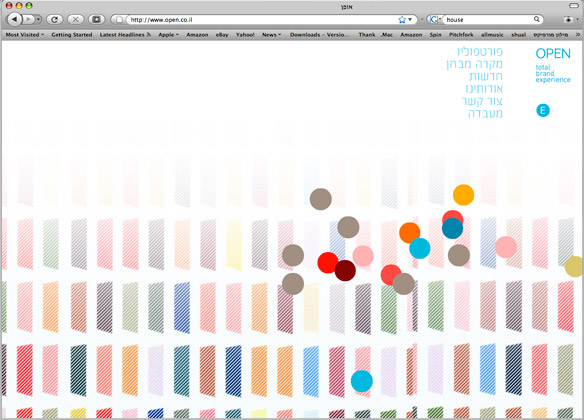 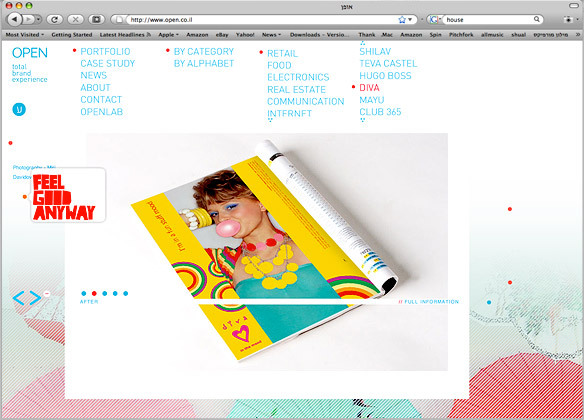 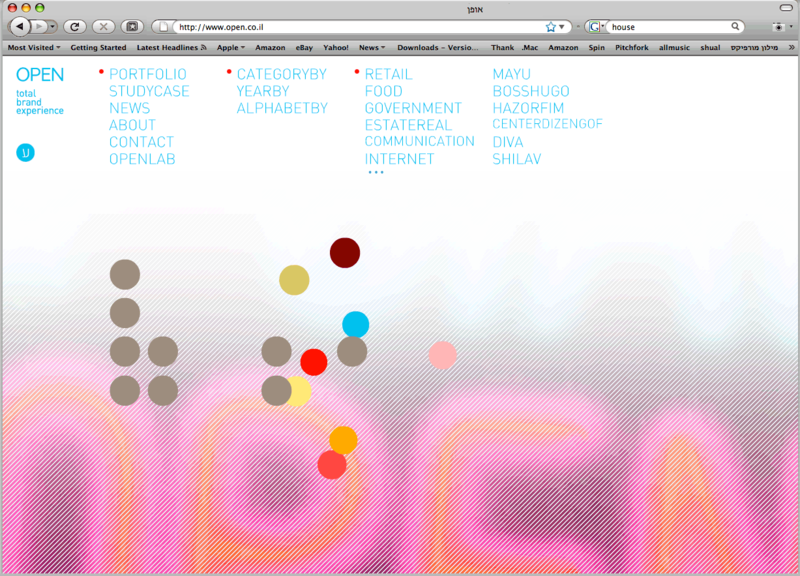 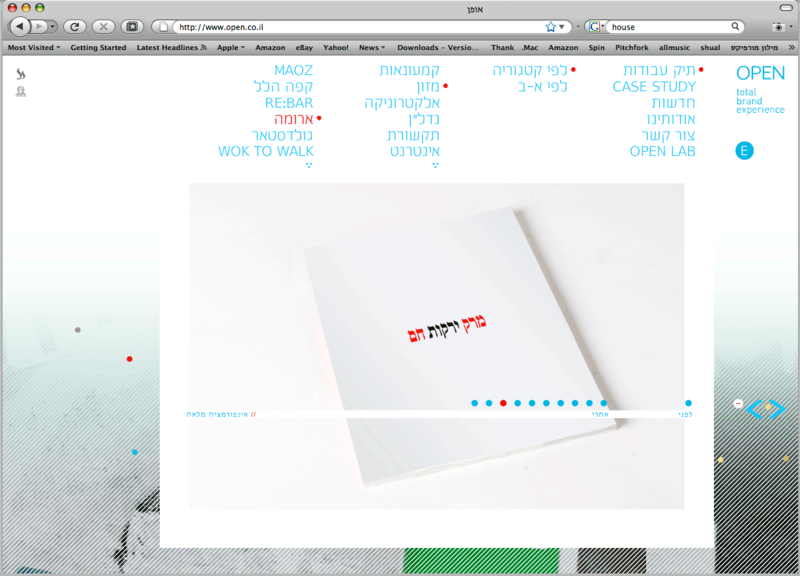 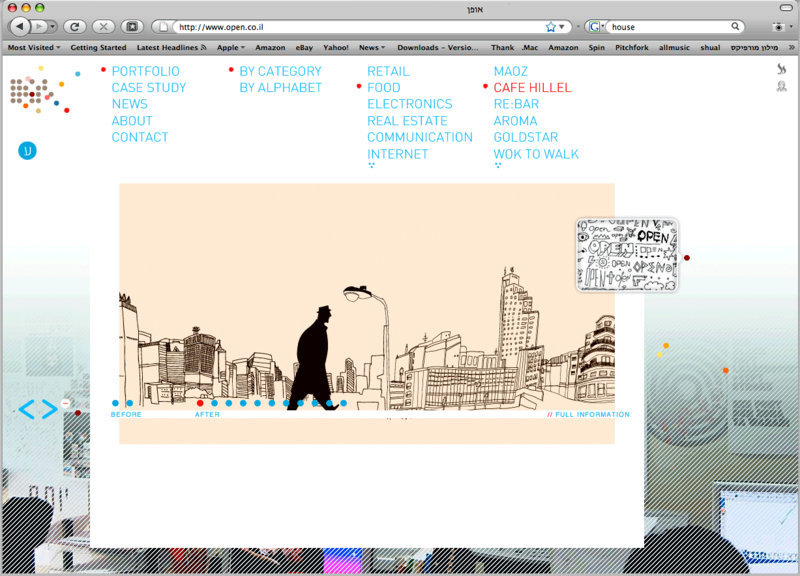 A portfolio site for one of Israel’s leading design firms specializing in branding. The site makes use of both Flash and Ajax technologies to deliver a mix of fluid user experience and a unique graphic statement. 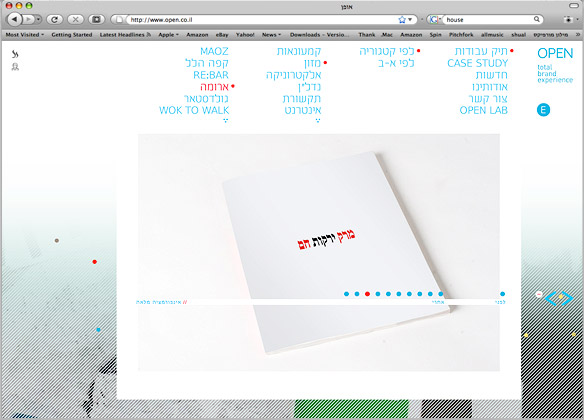 Navigation allows to surf through Hebrew, English or Chinese.